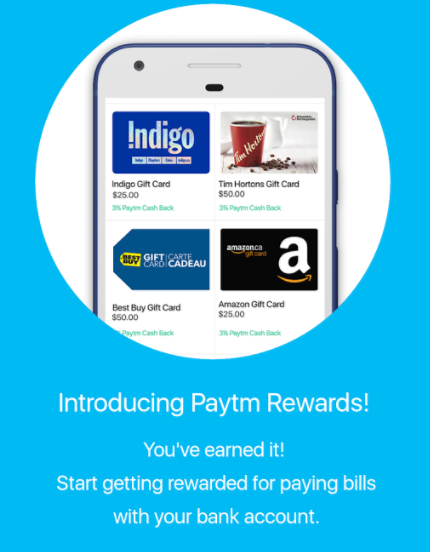 Now, Paytm is introducing Paytm Rewards in their Android App (You need to update your App to the newest version to see the Rewards program). I assume you will see it in your iOS Paytm App soon. To qualify for rewards, make a minimum bill payment of $100 using your bank account. If you haven't linked a bank account yet, don't worry, it's easy. Just head to Payment Methods from the main menu and link it from there. Browse through our rewards catalogue and buy gift cards using your bank account or Paytm Cash. 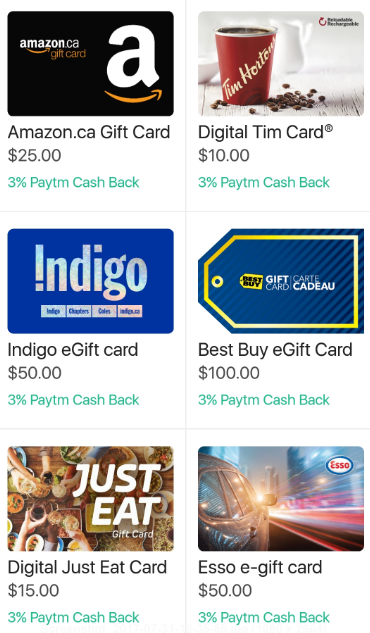 With popular brands of gift cards to select, you won’t run out of ways to use your Paytm Rewards. 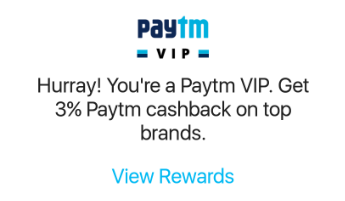 Get 3% Paytm Cash Back on your favourite brands, if you are a Paytm VIP member. Become a Paytm VIP and take advantage of our exclusive Paytm Rewards program when you make combined total bill payments of $500 or more. Continue making these payments each month to maintain your VIP status. Your Paytm VIP progress will be updated within 1 day of when your payment is accepted. It may take a few business days for your payments to be processed. Note: There is a $2,000 gift card purchasing limit in the Paytm Rewards Program. Once your reach this limit, you should continue using Paytm to pay your bills with your bank account and your purchasing limit will reset. BTW, You can get $10 credit when your pay your first bill (> $100) with the Promocode: PTM8933000 This is a referral code from our website. Thanks for using it. You need to enter this code when you register with Paytm. The $10 credit will show up "On Hold" in your Paytm account until you pay your first bill (> $100). 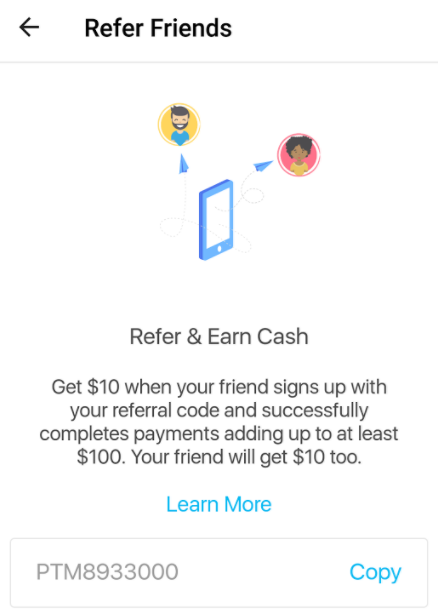 The quickest way to earn this $10 is to pay $100 to your Mobile bill (Rogers/Telus/Fido/Koodo... etc) after your Paytm registration (there is no service fee anyway...). After you registered with Paytm, you can get your own referral code and share them with your friends.